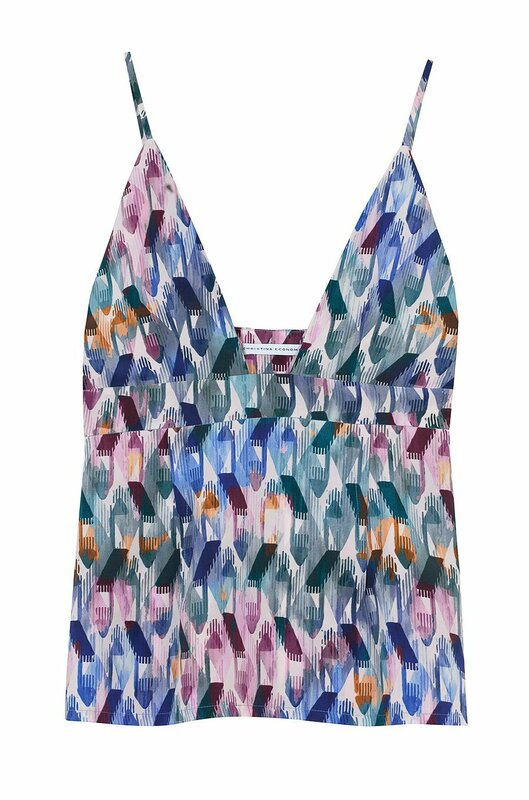 This slip top is made from graphic printed silk. It has a plunging neckline and nipped waist. Wear yours layered over a T-shirt, adding wide-pants and slides.